New for 2017: SureCrete’s DK 700 is a class 1 moisture barrier and vapor blocker for concrete floors. 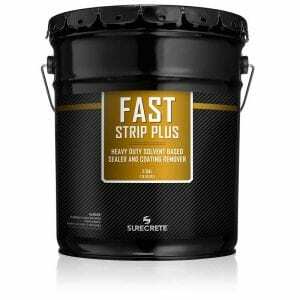 This moisture blocker can be applied between 3 to 5 mils making a gallon go over 300 square feet depending on concrete floors surface conditions. 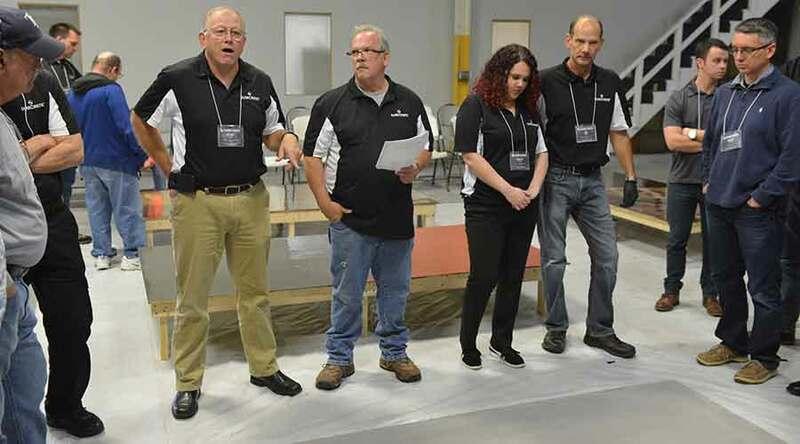 Used as a primer coat, DK 700 will help keep moisture and air from coming up from concrete floors, eliminating unwanted bubbles and pinholes when applying epoxy, polyurethane floor coatings. DK 700 is a 2 component solvent-based urethane primer, 97% solids, low VOC (<40 g/L), class 1 vapor barrier that meets ASTM-E96-E93. DK 700 stops water vapor transmission, to less than 1/2 pound per 1,000 sq. ft. 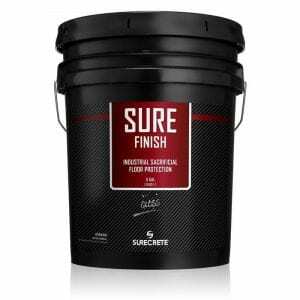 This unique water vapor barrier opens up the possibility of applying high-performance resinous coatings, including all Dura-Kote Systems, to uncured or moisture-laden concrete that was never before possible. It can also and under applications of VCT, linoleum, and carpeting. 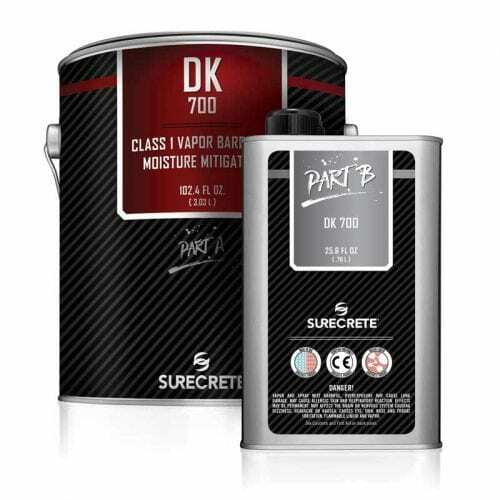 The principles for surface preparation for DK 700 are addressed with the required surface preparation for the Dura-Kote system selected, see TDS of that system. An exception would be for moisture limits which are treated by DK 700. The surface must be clean, sound, and profiled, as for all specialty sealers. 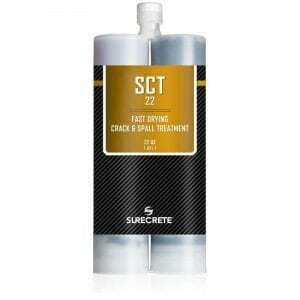 This product is not a shortcut for poor surface preparation. Apply when surface and ambient temperatures range between 50 F (10 C) and 90 F (32 C) and will remain that way for 24 hours. Select appropriate PPE (personal protection equipment). Provide adequate ventilation. Refer to SDS. Work across the narrowest dimension of an area where practical. Work to an exit from the wet product. Track coverage rate for each gallon (3.8 liters). After establishing room dimensions, before mixing commences, place a short piece of masking tape on the wall to correspond to the “distance” one gallon should cover. DK 700 should be acclimated to room temperature, before application. Ideal room temperature is 78 degrees and 50% relative humidity. NOTE: Mask all areas requiring protection; product will stick to just about everything. Organize mixing station that neither has to relocate, nor block the progress of applications. Staging is critical so that Part “A” and Part “B” are not confused with one another or mixed too far in advance. Once A and B are mixed, the catalyzed product should be placed on the floor immediately. If left in the pail too long, the product will cure at an accelerated rate rendering it useless. Pour 1 part B into three parts A. Note that kits are premeasured for convenience. Exercise care to avoid pouring product down the sides of the pail, as this will be difficult to mix. Mechanically mix both parts A and B with “Jiffy” style mixer blade for 5 minutes at medium speed. Jiffy style mixer at medium speed will help prevent air entraining. Pour contents completely out in a relatively long trail for an application. Any unused portion left in the pail can cure at an accelerated rate rendering it useless. Do not leave bucket upside down to drain onto the floor. Any unmixed portion of A or B that may have accidentally been placed on the side of the container can now drain down onto the floor, creating a spot that will not cure. NOTE: Clean out or replace mixing containers, mixer blades, and roller covers in a reasonable fashion, so that the chemistry of A and B remain consistent, especially over large projects. DK 700 may be applied with a paint roller or squeegeed and then backrolled. Select nap size approximately 3/8” or (9.5 mm). Rollers should be superior quality with a phenolic core. “De-fuzz” roller by wrapping tightly with masking tape and removing the tape. Large areas may require 18” (46 cm) rollers and wider squeegees. Spread product evenly over the area, areas adjacent to walls may be “cut in” by brush, apply no more than 3-5 mils wet. Allow DK 700 to dry to the touch and tack-free (approximately 4 – 6 hours) before applying Dura-Kote systems or another specialty sealer. If allowed to dry past 24 hours, the surface must be screened sanded with a 100 grit sanding screen on a rotational floor machine, and DK 700 reapplied. DK 700 can be cleaned up with a solvent such as a xylene or acetone. Contact your local government household hazardous waste coordinator for information on disposal of unused product. Upon curing, left over catalyzed product is not hazardous. Do not apply on visibly wet or moist concrete. An ASTM moisture Test must be performed and documented before and after application of this product, for the warranty to be valid. Warranty of this product, when used according to the directions, is limited to refund of purchase price or replacement of the product (if defective), at manufacturer/seller’s option. SureCrete Design Products shall not be liable for the cost of labor or direct and/or incidental consequential damages. KEEP OUT OF REACH OF CHILDREN. Inhalation: If spraying, avoid prolonged breathing of airborne mist. Use NIOSH approved respirator for nuisance if threshold limit values are unsafe. Skin Contact: Skin contact may cause irritation. Remove contaminated clothing and wash affected skin with soap and water. Launder clothing before reuse. If symptoms persist, seek medical attention. Eyes: Wear safety eye protection when applying. Contact with eyes may cause irritation. Flush eyes with water for 15 minutes. If symptoms persist, seek medical attention.